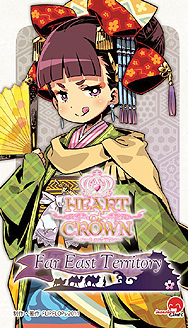 Far East Territory is the first expansion to Heart of Crown, a deck building card game about and epic struggle over the imperial succession! trade crosses great distances, as do people, goods, and the flames of war. Note: This item is not playable by itself. In order to play you will need the Heart of the Crown base set.